Wondering what to do with all of those left over plastic Easter eggs? 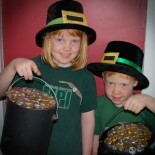 With a few simple materials, your child can transform them into festive maracas. Perfect for a Cinco de Mayo celebration! 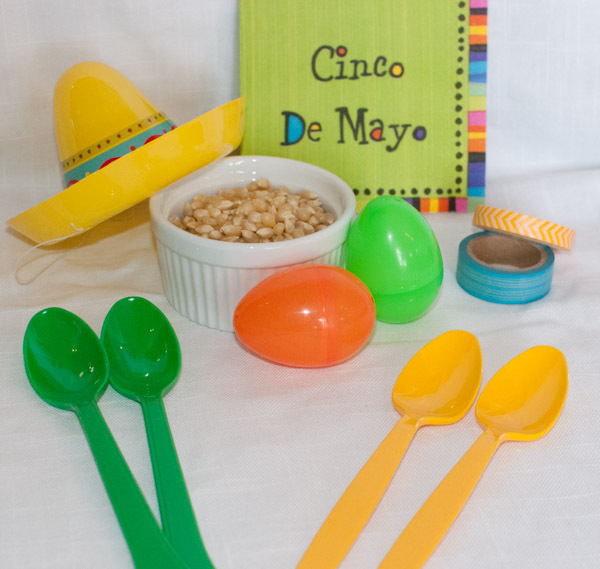 We are hosting a Cinco de Mayo party and thought these would be a perfect project for the kids who are coming. 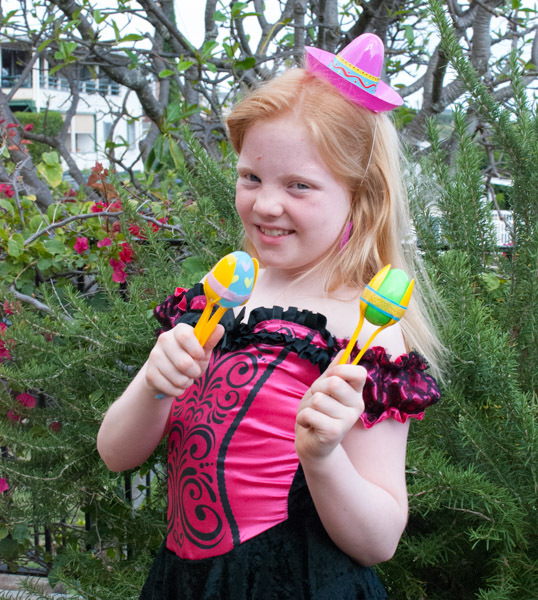 We plan to put a few finished maracas out, along with the materials and then let our little guests make their own. Fill the eggs with a tablespoon of popcorn kernels. Place the egg between two plastic spoons. Wrap wash tape around the egg at the seam. This will help seal the egg as well as attach it to the spoons. Wrap another piece around the bottom of the two spoons to form a handle. You can use duct or masking tape. We chose the more colorful wash tape, which can be purchased at Target and Ben Franklin in Hawaii. 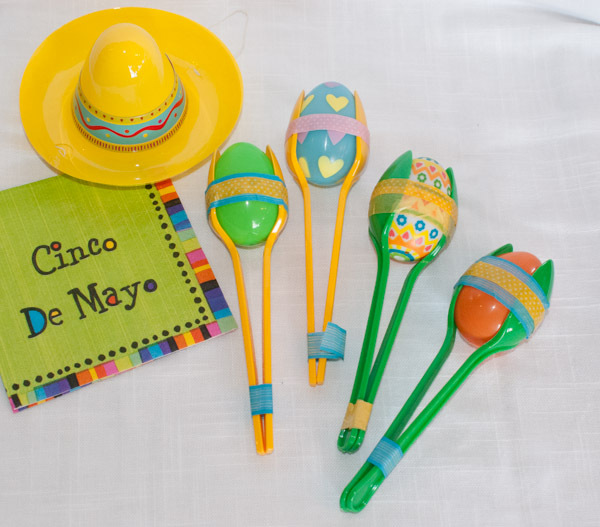 This entry was posted on April 23, 2014 by mdaucello in Cinco de Mayo, Crafts, Holidays and tagged cinco de mayo, easter eggs, eggs, maraca, maracas.